Note: Performance figures updated to 31 May 2013. Warning: Past performance figures are estimates only and may not be a reliable guide to future returns. I reduced the allocation to equities in the Active Asset Allocator model this month from 50% to 20%, investing 20% of the proceeds in 5+ Year Eurozone government bonds and 10% in cash. Following this change, the model portfolio now holds an allocation of 20% equities / 50% bonds / 20% gold / 10% cash. Following an epic run in the stock market over the past 2 years, equities are now showing signs of technical damage and deterioration. The S&P 500 broke below the 50 day moving average on Thursday 19th June, which generally doesn't happen in healthy bull market advances. Previous breaks of the 50DMA occurred just prior to big stock market corrections in May 2010, July 2011, May 2012 and October 2012. There is no way to know how deep the next correction will be. However, stock markets today are pricing in an awful lot of good news and long term support for equities is approximately 20-30% below current levels. I will start this month's Investor Letter with a look back in time to 1987, a year that will be etched into the memory of many seasoned investors active in the market at the time. 1987 started out quite well for the stock market. The S&P 500 surged +13% in the month of December 1986 from 242.17 to 274.08. The bulls were firmly in control and investors generally were in optimistic mood. After all, Paul Volcker was at the wheel of the Federal Reserve and was in the process of successfully taming inflation after a period of rapidly rising consumer prices the late 1970's and early 1980's; 30 year US Treasury yields had peaked in October 1981 at 15.2% and had declined to 7.4% by December 1986. In January 1987, economists were forecasting 3% GDP growth for the year ahead and US stocks were trading at a cyclically-adjusted P/E of 17 times earnings. What could possibly have gone wrong? US Treasury bond and the US dollar peaked in March 1987 and both declined for months in advance of the US stock market collapse, signalling all was not well in the United States at the time. As the months of 1987 passed, US bond and currency markets began to turn lower. 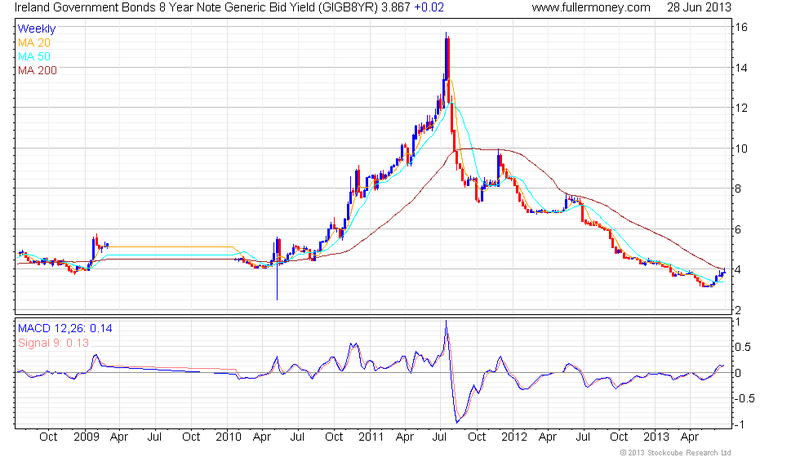 The 30 year US Treasury bond peaked in March 1987 at 102 and then began to fall. The 30 year Treasury bond would end up declining by -24% to 78 by October 1987 (before recovering +10% by year-end). The US dollar also trended lower for much of the year, signalling many months in advance that all was not well in the United States. 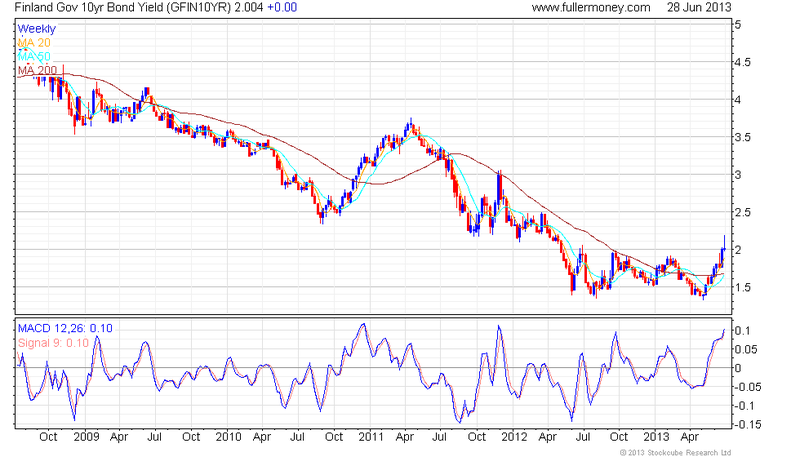 The USD Index started the year at 104 and ended the year at 85, a decline of -18% in 12 months. Gold began 1987 at $400/oz and delivered a strong 12-month performance, closing out the year +20% higher at $480. Of course, we know now that stocks drifted higher until August, peaking at 337.89. September 1987 was a mild negative month for US stocks as they fell -2.4%. Then the floodgates opened a month later. On no apparent news, selling in the S&P 500 began to accelerate. Everybody ran for the exits at the same time and stocks collapsed -34% from a high of 328.94 to a low of 216.46 in the space of a couple of hours. Portfolio insurance was blamed as one of the reasons for the rout and I am sure it played a part in the flood of sell orders that hit the floor of the NYSE but the simple fact was that stocks were overpriced at the time and too many folks were crowded on the long (and wrong) side of the market. Stocks and bonds both peaked in May 2013 and have started to decline. The correction so far has been quite orderly. 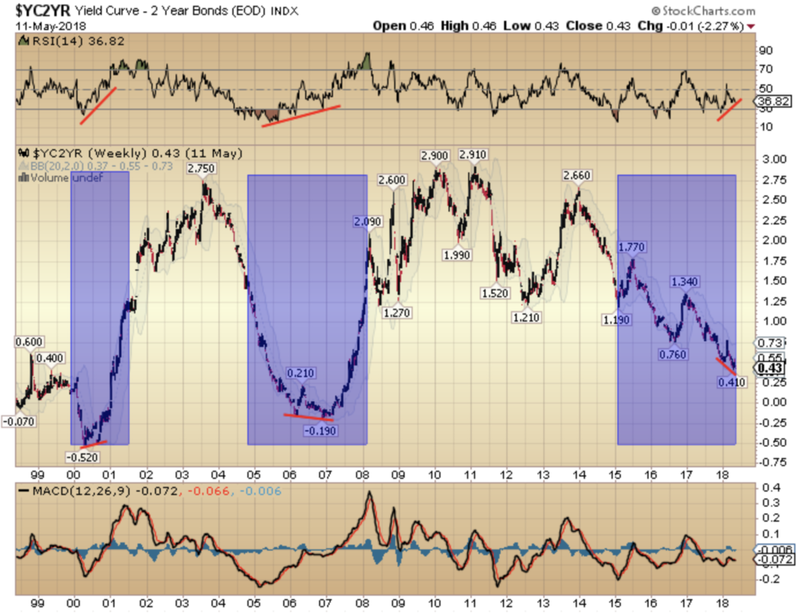 The reason I bring up the 1987 experience is that I notice a number of similarities in today's stock and bond markets. Despite quite an optimistic mood, the S&P 500 has already peaked this year at 1,687 in May and has corrected by -7.5% so far to a low of 1,560 in mid-June. 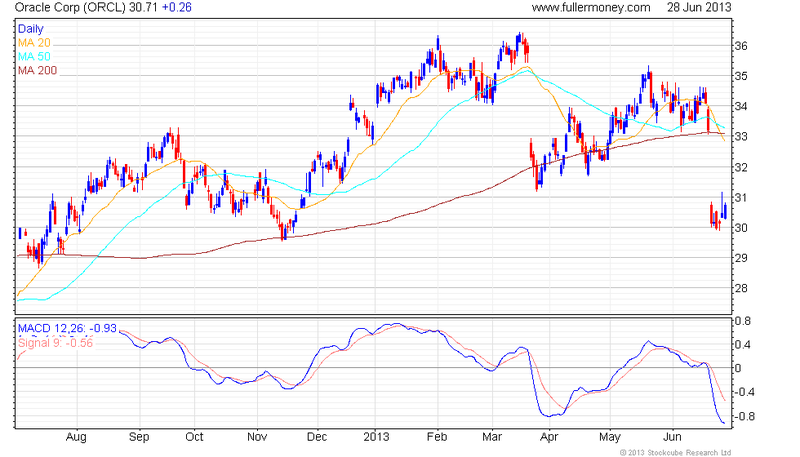 The 30 year US Treasury bond also peaked in May 2013 at 149.65 and has declined by -11% so far to 133.10. The US dollar has held up better, while gold has acted quite weak year-to-date. So, it is a bit of a mixed bag so far when compared to the 1987 analogy but that could change. 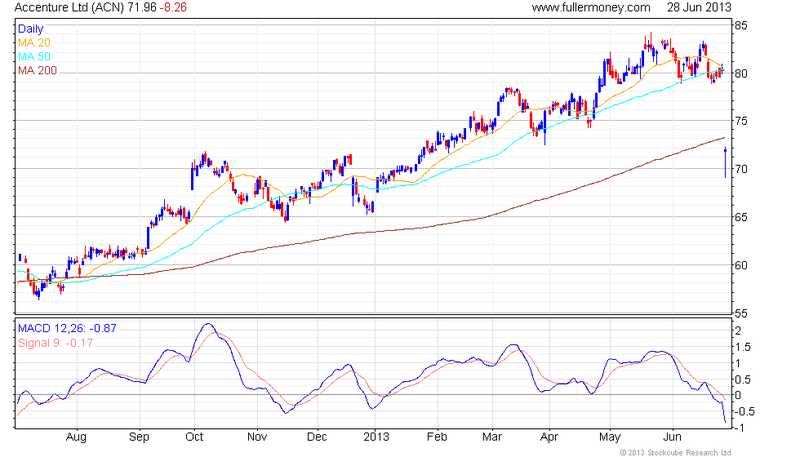 The US dollar Index topped in May 2013 at 84.50 and fell -5% to 80.50 in June before rebounding. The USD Index is currently trading at 83.00. Gold began 2013 at $1,675 and has taken quite a dive in the intervening period. Much like the correction that played out in the last big gold market during 1974-1976, gold is correcting the 12-year monster move from $250 in 2000 to $1,900 in 2011. (During the 1970's, following a run from $35 all the way $200, gold then plunged almost 50% to $100, before starting the second leg of a powerful bull market, which ended at $850). Gold closed this week at $1,235. The recent change in behaviour of the stock and bond markets suggests to me that investors should play a defensive hand for now. 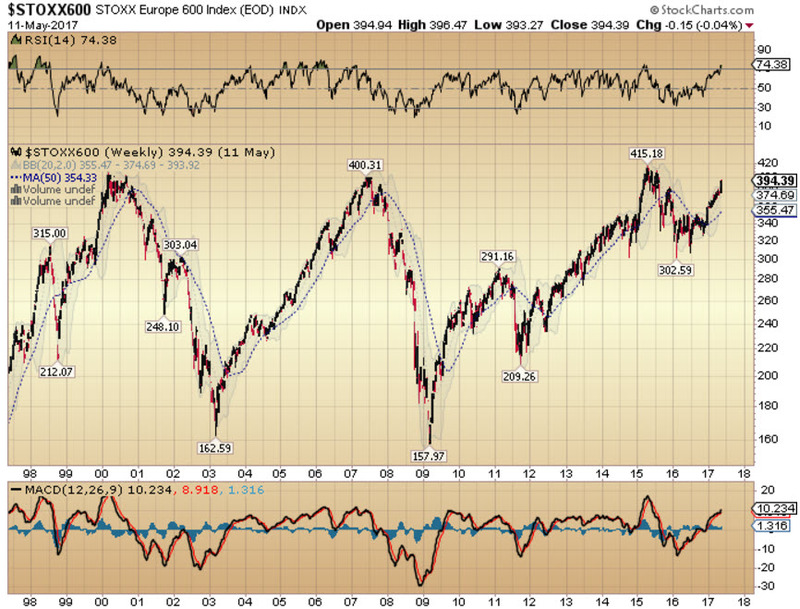 The stock market is overvalued, overbullish and overbought. 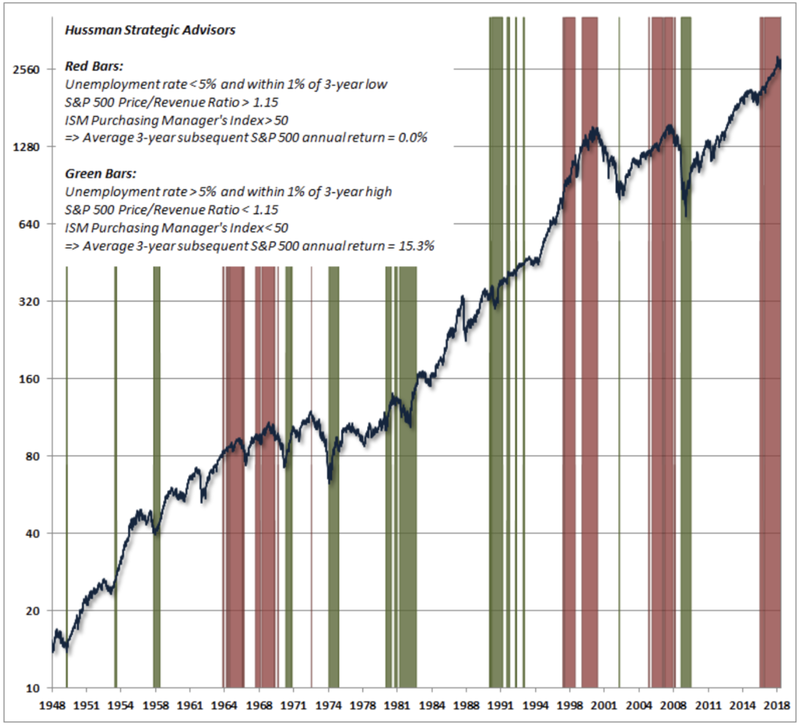 The next chart on the left shows prior times when the stock market exhibited similar overbought readings followed by a deterioration in the technical set up for stocks, which is where we are right now (thanks to John Hussman at www.hussmanfunds.com for that detail). Margin debt levels are also peaking after an almost 40% surge in the past 12 months. 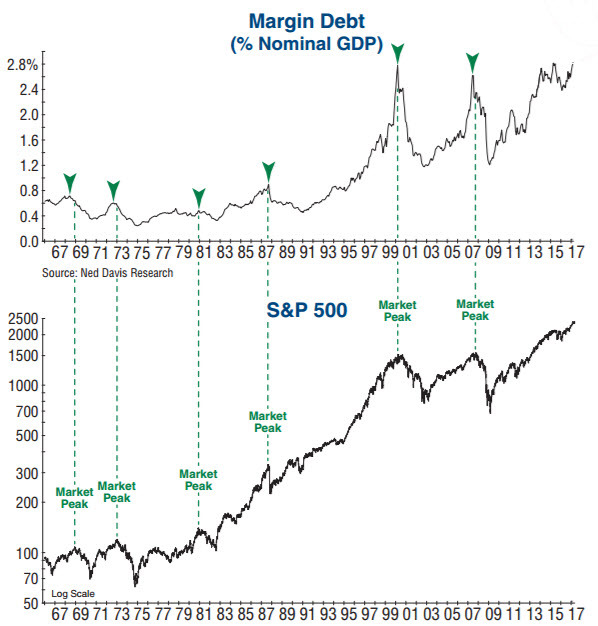 Prior peaks in margin debt levels, which measure speculators’ intent to borrow and invest in the stock market, have always coincided with at least short-term tops in the stock market. When you also factor in quite frothy levels of investor sentiment, which I wrote about last month, I think it is time to play defence for a while and move to a more conservatively invested position. This could just be another short-term correction, or it could be the start of something bigger. Time will tell. Stocks are overvalued, overbought and investors are overbullish. Meanwhile, margin debt levels have reached lofty levels again. A note on earnings as we approach second quarter earnings season in the United States. Stock analysts at all of the investment banks are back in optimistic mood. Goldman Sachs analysts for example are forecasting strong corporate earnings growth of 8% per annum for the next four years for all the large US multinationals, despite corporate earnings already at record all-time highs and being highly cyclical. There's plenty of room for disappointment. IBM, Oracle, Accenture and Cisco have all reported varying degrees of disappointing earnings results this quarter. Analysts don't appear to have noticed yet. 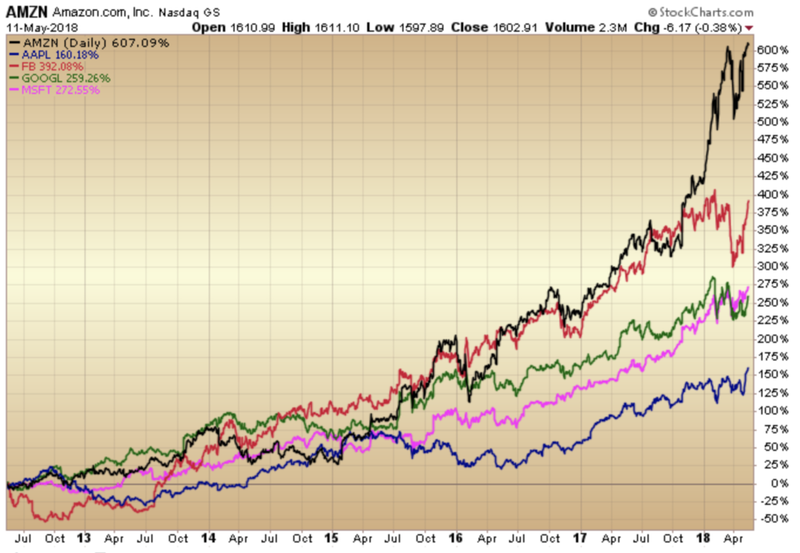 IBM, Cisco, Accenture and Oracle are a sample of US technology focused companies that have already reported disappointing results during the second quarter and their share prices have all declined. So, today we have short-term interest rates at zero. There is no room left to cut when the next slowdown happens. The Fed has boxed itself into a corner and is now trapped to a large degree. Bernanke has started to talk about backing away from QE. It is a dangerous game and it appears that the markets are about to call his bluff. We have reached a point in time where stocks are trading under the assumption that corporate earnings in the US, already at an all time high, will continue growing by 8% per annum and investors will continue to pay a rich multiple for those earnings. 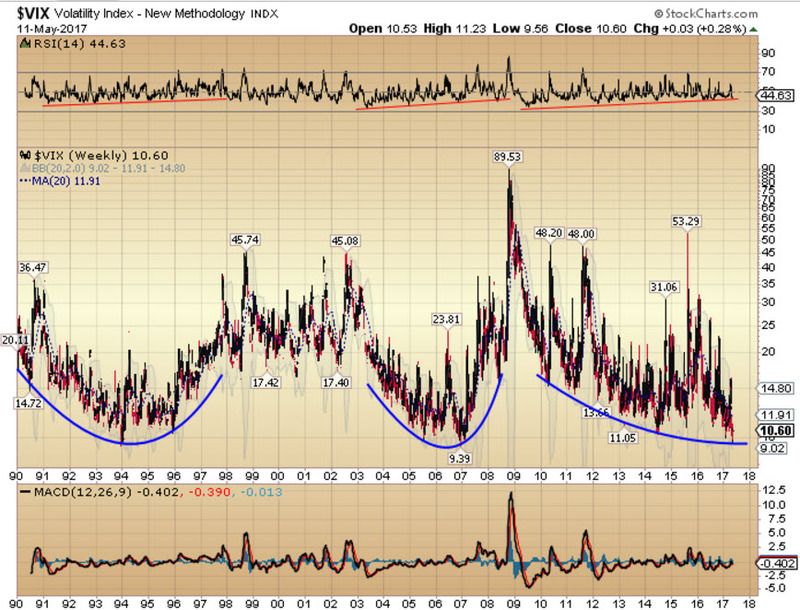 It really could be different this time but risks are tilted to the downside in my opinion. References to the 1987 stock market collapse are not intended to cause alarm; stock market crashes are very low probability events by design. I simply advise caution as stocks are relatively expensive, bullish sentiment is running high and after a significant move higher, equities have recently showed some technical weakness, breaking below their 50DMA. 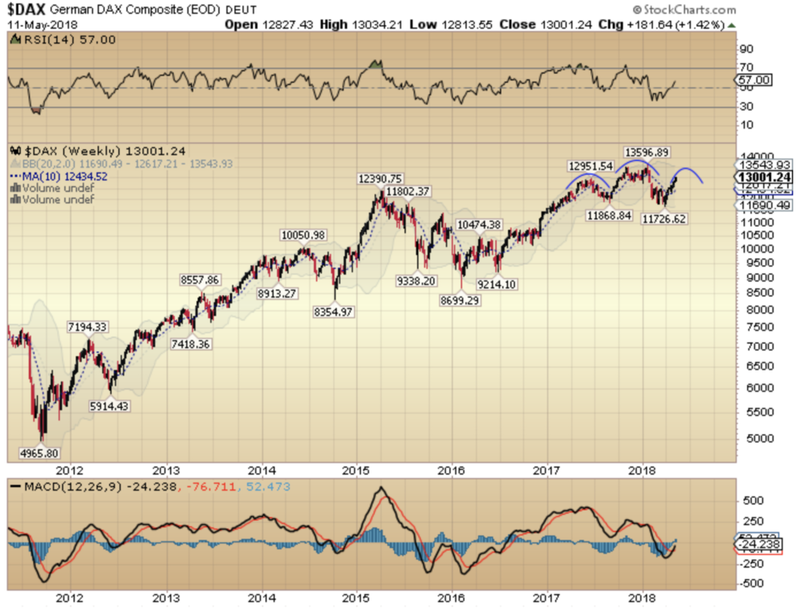 After a +150% rally over 3 years, it could be a long way down! 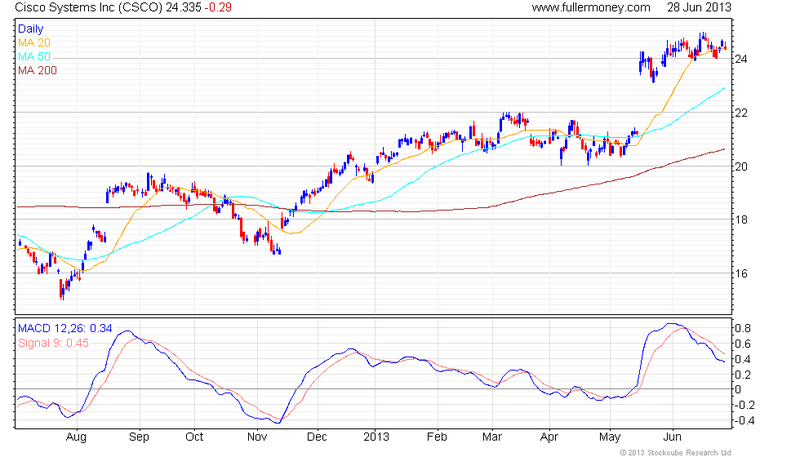 It's time to be cautious and watch out for additional signs of market weakness, or indeed strength. For now, I expect we will see a relatively orderly correction in stocks over the next 6-8 weeks, which is why the model portfolio is now positioned as it is. 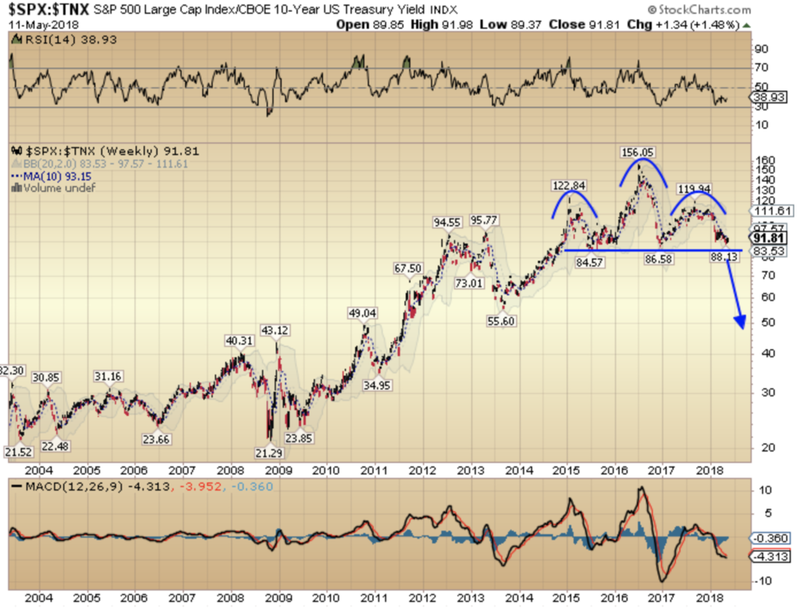 However, if US Treasuries continue to sell off over the summer months and the US Dollar reverses course and starts declining in tandem with the US bond market; and gold turns higher in an overdue resumption of its long-term bull market, then the outlook for stocks will become a lot more uncertain and we could see something more disorderly. Another reason I am concerned is because I feel that the Federal Reserve, after years of appearing to be in control of inflation and the bond market, now appears to be losing control. Rates are rising as central banks' control over their bond markets is slipping. 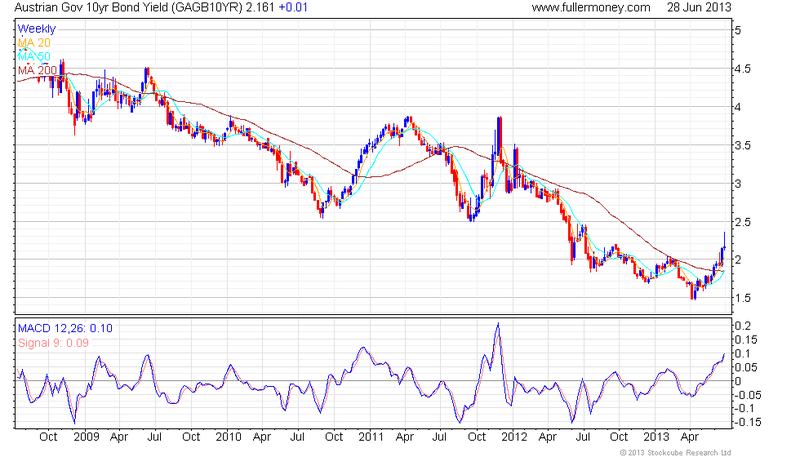 5 year interest rates in Germany, the United States and the United Kingdom have almost doubled in six weeks. 5 year interest rates in Germany have jumped from 0.36% to 0.73%; in the US from 0.74% to 1.39% and in the UK from 0.75% to 1.42%. These are huge moves in a relatively short space of time. It is a similar story for 10-year government bond yields, against which mortgage interest rates are typically set. In the United States, the mantra at the Federal Reserve for the past decade has been to signal to the capital markets a willingness to print money and buy government bonds of varying maturities to keep interest rates low. This in turn, they believed, would buy time for over-leveraged banks and over-leveraged individuals to get their financial affairs in order, and also act as a stimulus to the economy and housing market. The problem with this approach is that it is only a temporary solution and has now been fully priced in. Bond markets are now clearly signalling that the current QE printing programme of $85BN/month is not enough to keep rates at record lows. $1 trillion of money printing every year is just not enough. I believe that the Federal Reserve will very shortly row back on their tapering talk and will revert to their old policy of QE to infinity. Another 6-8 weeks of falling stock prices should do the trick. The real problem will come when Bernanke says "don't worry we will just keep printing money and buying bonds to keep rates low" and the bond market doesn't co-operate. At that point we will know that the Fed has lost control. Then there will be real fireworks. The gold correction continues; a cyclical bear market within a secular bull market. The correction from the peak in September 2011 of $1,921 to this week's low of $1,180 is -39%. The decline has had its effect. Small speculators have thrown in the towel and closed out their long positions. 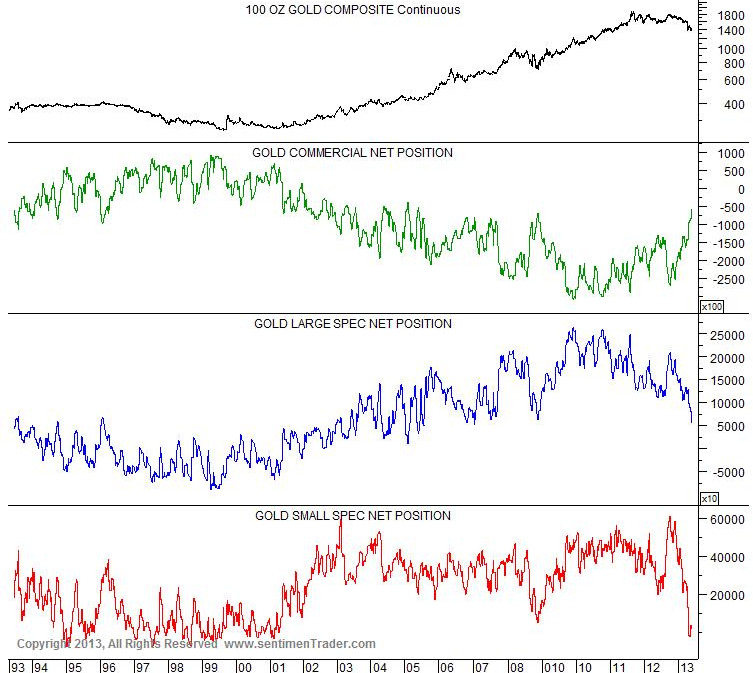 Meanwhile, the large commercial traders, who are always net short the gold market to hedge their clients' (gold miners) long exposure, have cut back aggressively on their short position. Small speculators have thrown in the towel, while the commercial traders, always net short to hedge their clients' long exposure, have cut back aggressively on their short position. During the last gold bull market of the 1970's, gold corrected in price from $200 to $100, a -50% decline before surging higher to a peak of $850 in 1980 as inflation ran wild. It is a different environment today. The scourge of inflation has yet to take hold due the continued credit contraction/destruction cycle. Quantitative easing is being pursued at record rates by central banks across the world and inflation will eventually follow. Gold is destined for much much higher prices and I continue to search for clues that the current 18 month correction has finally run its course. It may have actually occurred just a couple of days ago. 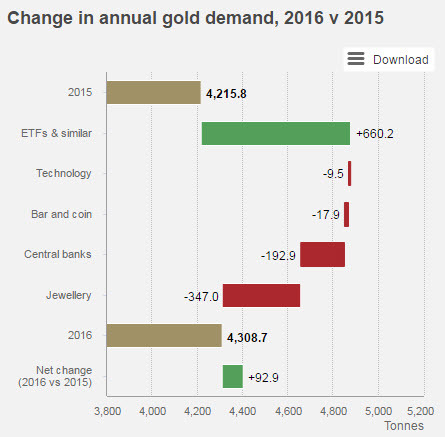 The gold miners typically lead the metal higher in bull markets and lower in bear markets. On Thursday last, with gold lower during the day, the miners posted a positive close. On Friday, gold started the day lower but closed almost $50 higher at $1,235 and the miners took off adding 8%-10%. 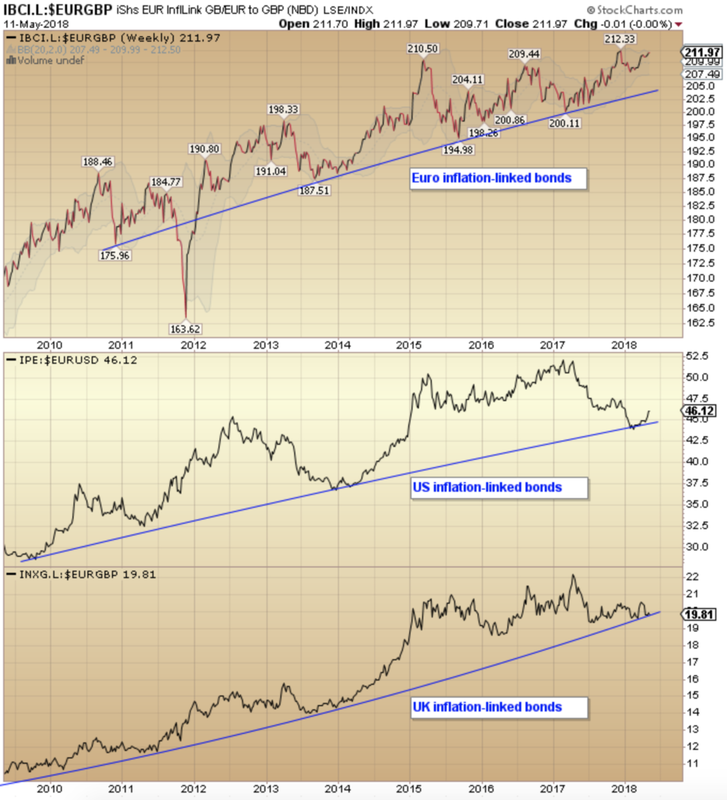 The reason I am paying close attention here is that the upside for both precious metal and mining stocks is potentially enormous if the bull market is about to resume. The gold mining stocks are pricing in the end of the gold bull market, such has been their abysmal performance over the past 18 months. The next chart show all of the major declines in gold stocks since 1930. Corrections A, B and C all occurred during secular bull markets. Correction D is today's drop. The subsequent recoveries are also noted in the chart and were epic rebounds. If the steep 18 month correction is over, gold miners should start moving aggressively higher in the months ahead. This chart measures every major decline for gold stocks since 1930. The current plunge should be close to an end.